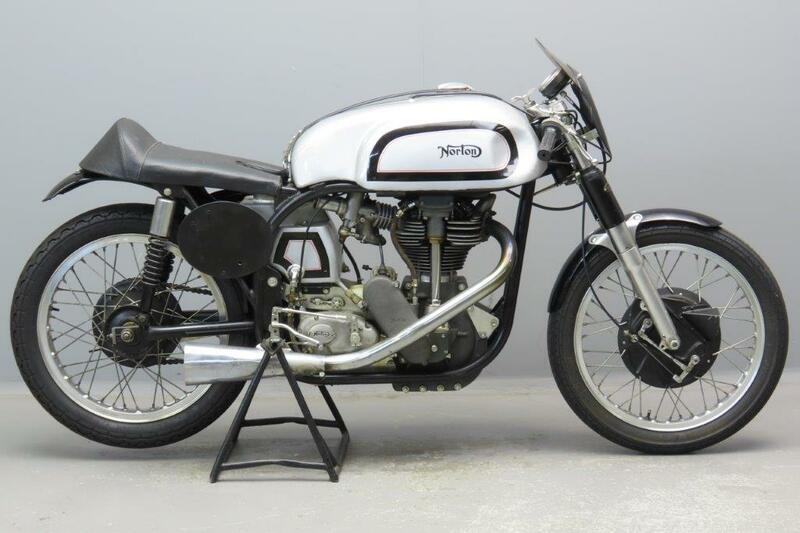 The 1930s were truly fantastic years for the Norton racing department: from 1931 till 1939 Nortons won all Manx TTs in both 350 and 500 cc classes, with the exception of the 1935 Senior and the 1938 Junior events. 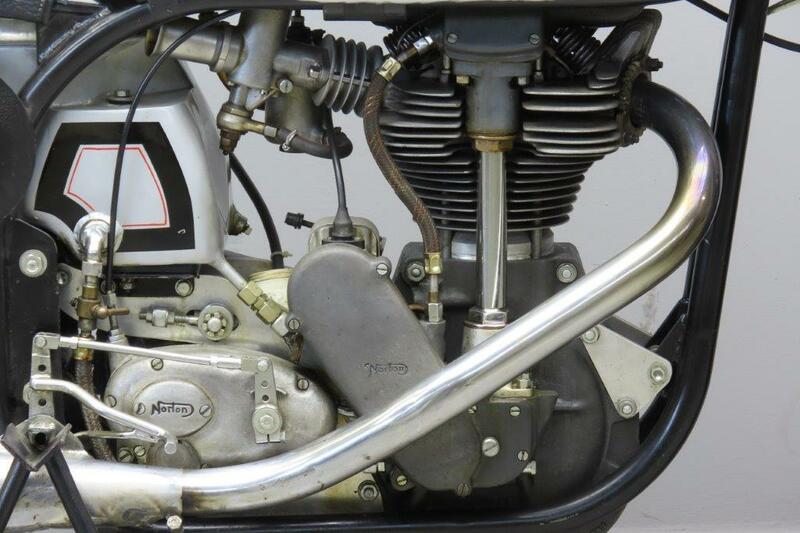 During this period the Norton racers acquired hairpin valve springs (in 1934), a megaphone exhaust (1935), plunger rear springing(1936), twin overhead camshafts (1937) and telescopic front forks in 1938. In 1938 bore and stroke on both models were revised and the 498 cc model could reach a top speed of 120 mph. 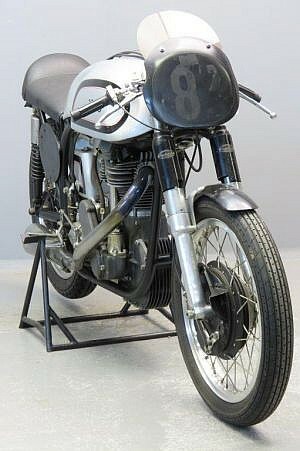 The first post-war over-the-counter racers were made available for the 1947 season. 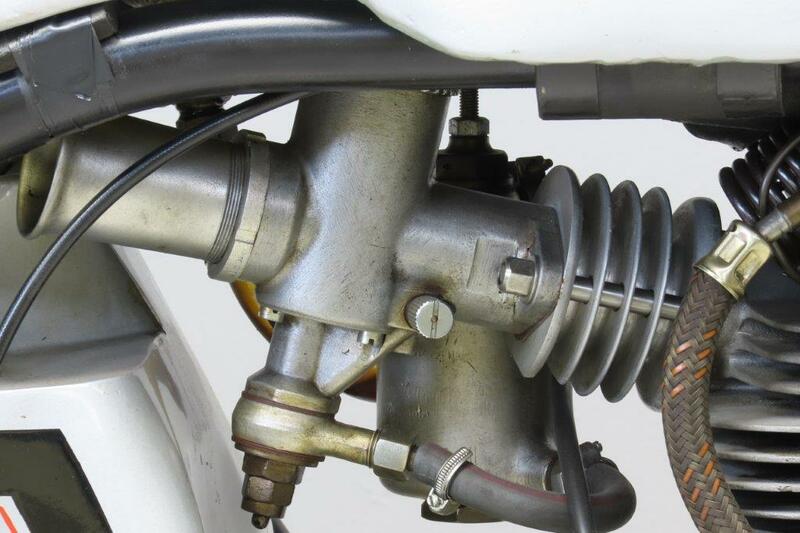 They were standard equipped with new telescopic forks, magnesium crankcases and aluminium-alloy cylinder barrels. From 1948 on twin leading shoe brakes were employed. In 1950 the innovative “featherbed” frame was developed, giving the Manx a significant competitive advantage through a low centre of gravity and short wheelbase that perfectly suited the challenging island TT course. The all-welded, tubular featherbed frame was light and trim, without the usual forgings that added unnecessary weight. For the 1954 season “short stroke” engines were listed: the dimensions were almost square now. 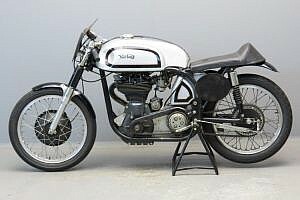 Development went on till 1962: in early January 1963 the Bracebridge Street doors closed and Norton production was transferred to the Associated Motor Cycles premises in Plumstead. This move marked the end of Manx production. 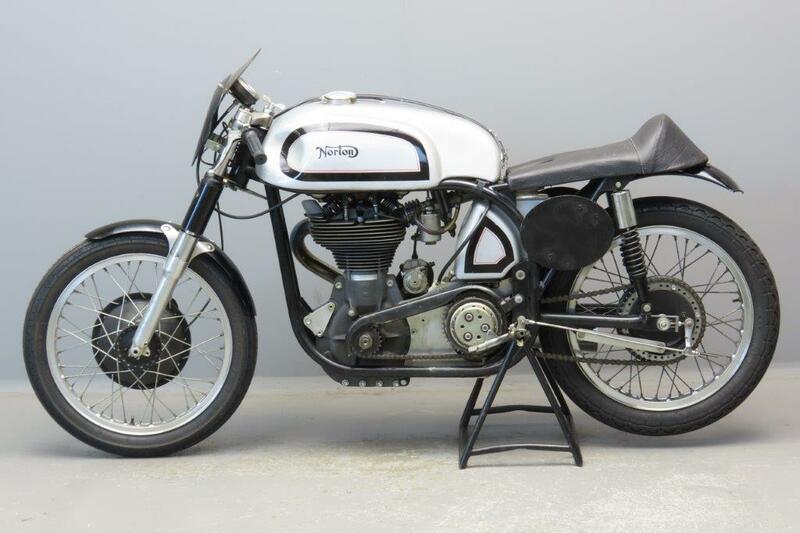 The Japanese racers took over for a number of years, but in the early eighties Classic Racing really got off the ground, and this immensely revived the interest in Manx Nortons. 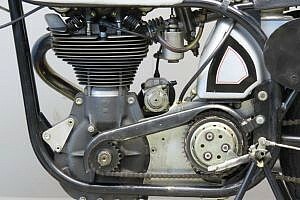 The machine we offer here was supplied new to the Swiss Norton Agent Alfred Demont in Geneva. 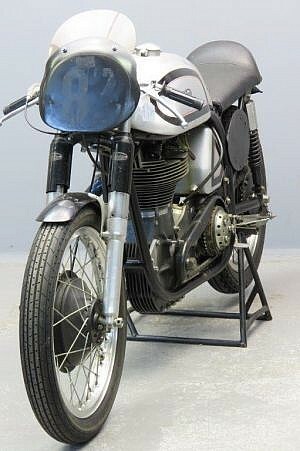 It comes with Smiths 8,000 rpm rev-counter and BTH TT magneto. This classic racer is in excellent shape and ready to be raced.